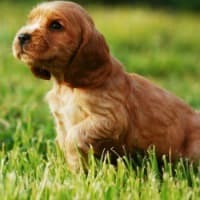 Feeding homemade puppy food to your little Rascal gives you control over the quality of ingredients he eats and provides a healthy foundation for optimum growth and development. From your puppy's point of view home made food is simply tasty and delicious! Of course creating and cooking a nutritiously balanced diet for your puppy is more labor intensive than pouring kibble into his bowl, but if you're willing to put in the extra time and effort the results are definitely worthwhile. 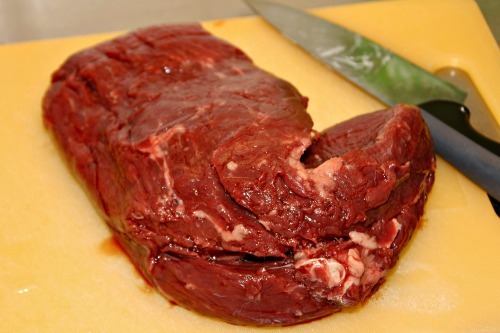 This page focuses on a home made food which is cooked not raw. If you're looking for information on feeding a raw diet visit this page Raw Puppy Food which has all the information you need. 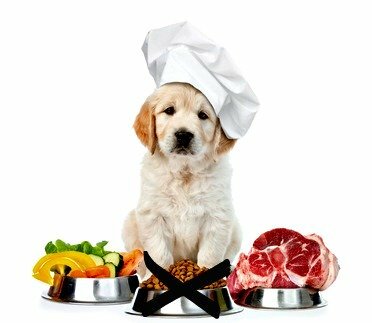 Choosing the right ingredients for your homemade puppy food recipes is hugely important and fairly easy to do. As you need to buy natural, human-grade ingredients you can simply add little Rascal's shopping list to your own and knock them both out at once. Because heating and cooking ingredients kills off most of the vitamins and minerals in them you'll need to add dietary supplements to make sure your puppy's meals contain the full range nutrients he needs. This is probably the trickiest part of the whole homemade puppy food creation process because the majority of canine nutritionists, researchers and veterinarians aren't in agreement over what constitutes the ideal balance. Luckily, you don't have to stress over making every single meal perfectly balanced because the best way to make sure that your little Rascal gets everything he needs from his home made diet is to create a variety of different meal plans/recipes and rotate them. Doing this means your puppy gets a wide variety of ingredients over a period of a few days, creating a natural nutritional balance over time. We all know this works because it's how we eat ourselves! I know that no individual meal I eat contains ALL the nutrients or ingredients that I need to stay healthy. However, over a period of a week or so I'm confident that I eat enough variety to give my body everything it needs. Although each meal will be a little different, when it comes to creating homemade puppy food recipes there's a fairly standard breakdown of ingredients that you can follow. There's some flexibility here because not all professionals agree on the exact ratio of nutrients and remember that every meal doesn't have to be perfectly balanced, you're aiming for balance over a week or so. A healthy diet for your puppy needs to contain a lot of protein as this is the building blocks for a healthy body and plays a vital role in every aspect of your puppy's growth and development. Protein comes from a variety of sources, but the most natural, complete and easily digestible source of protein for your puppy is lean meat (including muscle meat, organ meat and fish). The best way to cook meat is to boil, stew or roast. If you choose to fry the meat from time to time use a good quality vegetable oil. Eggs are also an excellent source of protein and can be fed raw. 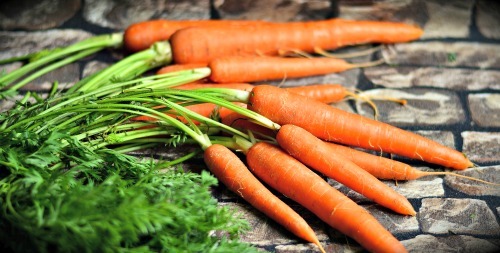 The most digestible source of carbohydrates to use in your homemade puppy food recipes include starchy vegetables such as sweet potatoes, carrots, squash and beans/legumes. Dogs can't digest raw vegetables very well, so make sure to cook the veggies you're adding to your homemade puppy food meals. Juicing them or pureeing is a viable option from time to time but your pup needs the fiber from his vegetables and this is lost if you only add juice. Dark green leafy vegetables such as kale and spinach can be given in small quantities. Carbohydrates provide fiber which plays an important part in keeping your little Rascal's digestive system working properly. Vegetables also contain a huge variety of vitamins, minerals and antioxidants... all essential to your pup's lifelong health. Some fruits are also a good option for adding fiber, vitamins and minerals to your puppy's diet. Try blueberries, melon, apples (without the seeds/core) and bananas. 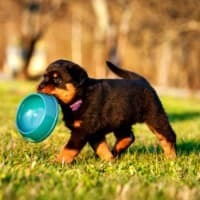 Grains are another optional source of carbs for your puppy. Not all puppies and dogs tolerate grain in their diet very well. For some pups grain can cause digestive upset and/or allergies, but others tolerate them just fine. If you want to include grain in your puppy's home made food, the safest and most easily digestible options include cooked brown rice, oats, barley and quinoa. 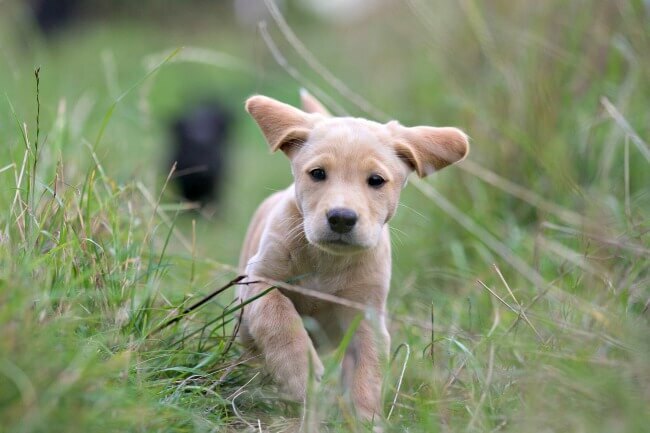 The fat in your puppy's diet is his first source of energy, and are essential for the development and optimal function of many bodily systems including cell growth and muscle development. Fat is also necessary for a healthy skin and coat. The principle source of fat in your puppy's homemade diet will be animal fat found in meat and the essential oils found in fish such as salmon, herring, sardines and so on. Vegetable oils also play a role and can be used for cooking. This is the most difficult part of creating homemade puppy food recipes. Experts disagree on exactly what supplementation is necessary, how much of each vitamin/mineral puppies need, and which sources you should get them from. It's a bit of a minefield! If you're feeding a well-balanced raw puppy food diet supplementation isn't necessary because your pup can get all the nutrients he needs from his food. Heat destroys vitamins, minerals, enzymes and probiotics, so if you're cooking your puppy's meals you need to estimate what is being lost and replace it. Calcium is vital for proper bone/joint development in puppies, however it's a tricky one to supplement. The very best source of calcium, in it's most digestible and optimally balanced form are raw meaty bones... RAW meaty bones. Not cooked. Even if you're cooking homemade puppy food meals you can still add raw meaty bones to his diet by feeding them to him daily. 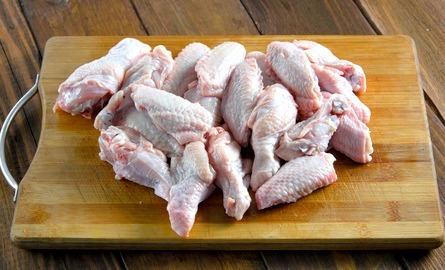 The best bones for puppies are the wings, legs, necks and backs from chickens. Similar portions from ducks or turkey are also good, as are pork riblets or rabbit portions. 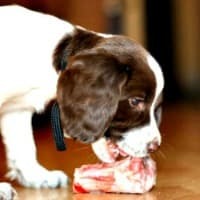 If you don't feed raw meaty bones to your puppy at each meal you will have to supplement to meet his calcium requirements. Too much calcium can do as much, if not more, damage than too little and large/extra-large breed puppies are especially at risk for bone/joint problems related to too much calcium. Eggshells are the second choice as a healthy, natural source of calcium, and it's pretty easy to make powdered eggshell which can be added to your puppy's meals. To make sure the egg shells contain the nutrients your pup needs, choose organic, free-range eggs. You can use chicken eggs as they are readily available, but duck, turkey or other similar eggs are fine too. Store in dry, air-tight container. Refrigerate or keep in cool, dry place. **Drying the egg shells thoroughly is very important so leave them somewhere warm to dry out for 12-24 hours before grinding them up. You can add the egg shell powder to your puppy's meals at the ratio of 1/2 tsp of ground egg shell powder per pound of boneless meat. A third option as a calcium supplement for your homemade puppy food recipes is to add bone meal. But, the type of bone meal you choose is very important because some commercial bone meal products can be contaminated with lead, and the type of bone meal used as a fertilizer is not safe to be ingested. Choose locally sourced (ie not from overseas) bone meal that is formulated for human ingestion, and is sold in health food stores or feed stores. Some drug stores/natural grocery stores may carry it too. Do NOT buy from garden store/department. Make sure it's labeled as being free of heavy metals and toxins, and doesn't have Vitamin D added. One safe bone meal alternative that is worth checking out is Dogzymes Bone Builder which contains only human grade ingredients. Follow dosing instructions on the tub. If you don't want to feed raw bones whole, or purchase commercially prepared bone meal, it's perfectly possible to make your own bone meal from them if you're willing to spend a little time and effort. Boil or steam raw bones until soft, or save the cooked bones from your meals (turkey and chicken bones are great and are probably the easiest to turn into bone meal, but lamb, beef and other bones are just as good nutritionally speaking). Once the bones have cooled, allow them to dry thoroughly for 24 - 48 hours and then (depending on the size of bones you've chosen) use a meat grinder, food processor or coffee grinder to turn them into a fine powder. Other sources of smaller amounts of calcium which you can add to your pup's diet from time to time include yogurt, cheese and green tripe. Fish Oil is one of the most important supplements you want to add to homemade puppy food (and dog food for that matter). It's a prime source of Omega fatty acids which are vital to your puppy's overall health. 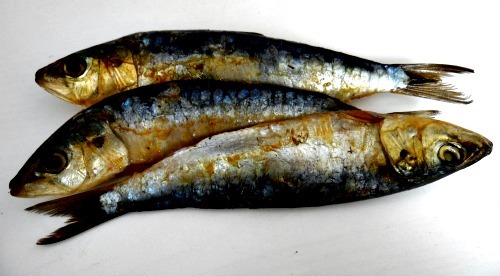 Using fish as a protein source in some of your puppy's meals is a great source of these essential oils, and adding one or two small sardines to each meal is a good way to give your pup the Omega-3 fatty acids he needs. If you don't add sardines to each meal, adding a fish oil supplement which has been formulated for dogs as a daily supplement ensures that he gets the full benefits of these essential nutrients. You might want to try Delay Naturals Wild Caught Omega-3 Fish Oil, Zesty Paws Pure Wild Alaskan Salmon Oil for Dogs or TerraMax Pro Omega-3 Fish Oil. Probiotics keep your puppy's digestive system working efficiently and also support his immune system to keep him healthy. Plain natural yogurt that contains probiotics (namely Lactobacillus Acidophilus) can be added to your homemade puppy food meals. Kefir is even better. Or buy probiotics to give as a supplement, there are some good ones formulated specifically for dogs. You might want to check out Dogzymes Probiotic Max, Ark Naturals Gentle Digest soft chews which also contain valuable pre-biotics (or try the capsule form and sprinkle capsule contents on your pup's food), VetriScience Probiotic Everyday chews or Nutramax Proviable DC capsules. If you feel most comfortable adding a daily multi-vitamin/mineral supplement you can go ahead and do that instead. You'll still need to add an additional source of calcium if you're not feeding raw meaty bones and probiotics, but you shouldn't need anything else. Dogzymes Ultimate is a well balanced multi which provides everything your pup needs. There are a handful of ingredients you don't want to include in homemade puppy food because they're either toxic to your dog, or can cause digestive upset.